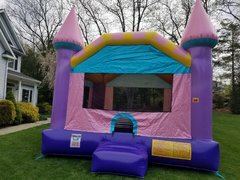 Bounce Blast, located in Naugatuck, CT, has a large variety of bounce houses to fit most party themes. 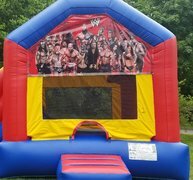 Kids of all ages will love seeing the colorful bouncer upon arrival to your event! 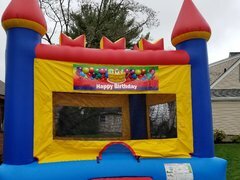 Bounce houses offer hours of entertainment! 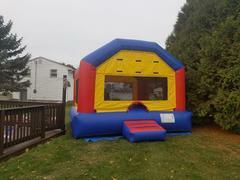 All of our units have spectator windows so parents can keep an eye on all the fun. 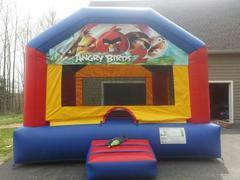 If you are interested in a unit with more activities click here to see our combo bounce houses! 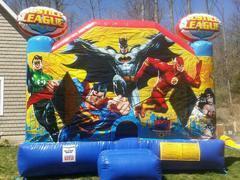 Bounce Blast guarantees that all of our inflatables are of commercial grade. 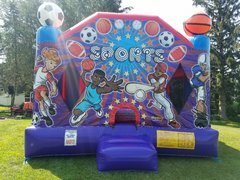 On the day of your event we will deliver and setup in the morning and pick up the unit the following morning. We also clean and sanitize all units in between rentals to ensure health and safety. To book online click one of our many items, select your time and date. Answer a couple quick questions and you are done, we take care of the rest. 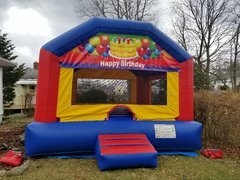 Bounce Blast does require a $50 deposit which gets used towards your rental. 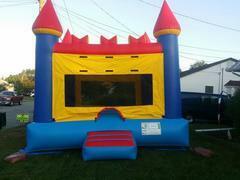 Any questions don't hesitate to contact us at 203-677-0906 or email at bounceblastllc@gmail.com. See you soon.